The Georgia Bulldogs will travel to face the South Carolina Gamecocks on Saturday, Sept. 8 in both teams’ 2018 SEC opener. The game has been set for 3:30pm ET on CBS, per an announcement today by CBS Sports. 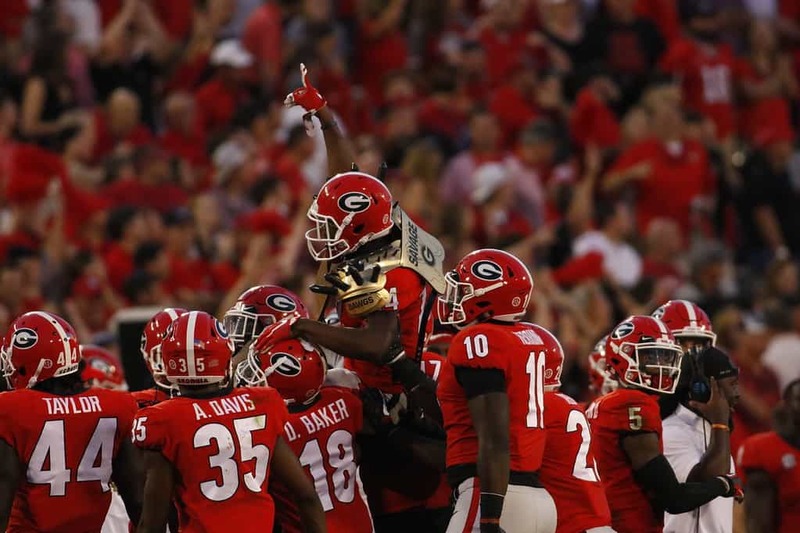 Georgia defeated South Carolina 24-10 last season in Athens and 28-14 in Columbia back in 2016. The Bulldogs currently lead the series with the Gamecocks 50-18-2. Previously known but made official today, the annual Georgia-Florida game in Jacksonville on Saturday, Oct. 27 will also be a 3:30pm ET start on CBS. The Bulldogs demolished the Gators 42-7 last season. The 2018 SEC Championship Game has also been set in its usual spot. The game will be televised by CBS at 4:00pm ET on Saturday, Dec. 1. Kickoff times and television for Georgia’s 2018 season-opener against Austin Peay on Saturday, Sept. 1 and home game against Middle Tennessee on Saturday, Sept. 15 should be announced this Summer.